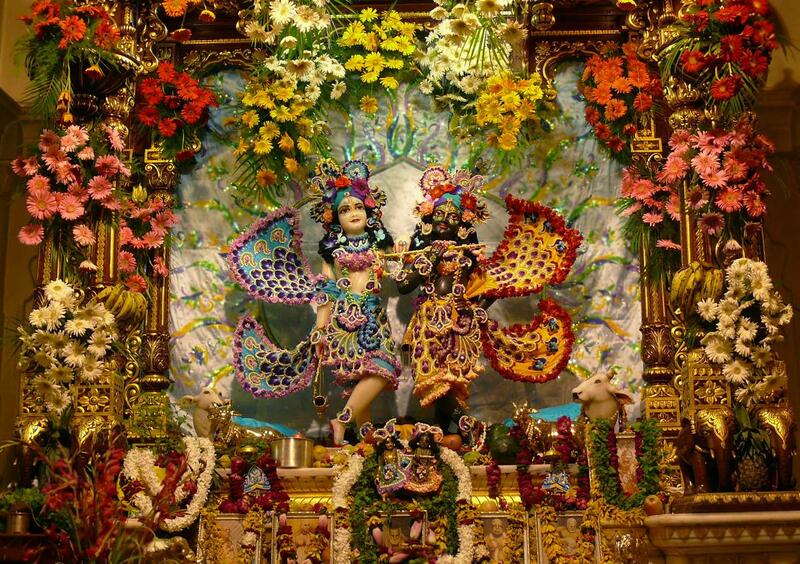 "The abode known as Vrindavana or Gokula is also known as Goloka. The Brahma-samhita states that Gokula, the highest region of the kingdom of God, resembles a lotus flower with thousands of petals. The outer portion of that lotuslike planet is a square place known as Svetadvipa. In the inner portion of Gokula there is an elaborate arrangement for Sri Krishna's residence with His eternal associates such as Nanda and Yasoda. That transcendental abode exists by the energy of Sri Baladeva, who is the original whole of Sesa, or Ananta. The tantras also confirm this description by stating that the abode of Sri Anantadeva, a plenary portion of Baladeva, is called the kingdom of God. Vrindavana-dhama is the innermost abode within the quadrangular realm of Svetadvipa, which lies outside of the boundary of Gokula Vrindavana."